Google+ Reading Teen: Changeling by Philippa Gregory: Sneak Peek & Get the Widget! 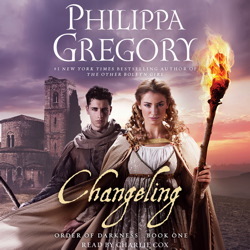 Changeling by Philippa Gregory: Sneak Peek & Get the Widget! Philippa Gregory, author of the beloved The Other Boleyn Girl, will be publishing her first teen novel with Simon Pulse! Changeling, the first book in the Order of Darkness series, goes on sale next Tuesday, May 29th. Simon & Schuster has created a very special widget for this momentous occasion. As a special treat, the Changeling widget has a sneak peek and once the widget is shared 500 times, they'll reveal the next chapter in the book! So help spread the word! You can find the widget & embed code here: http://www.orderofdarkness.com/widget/ and don't forget to follow S&S on Facebook, Twitter & Pinterest for the latest updates!